The Frankenreads project is now more or less retired along with 2018, the 200th anniversary year of the publication of Mary Shelley’s novel Frankenstein. We are therefore no longer allowing registrations and submission of events, but we will leave the website frankenreads.org up for at least a year. Thanks once more to the National Endowment for the Humanities for enabling the Keats-Shelley Association of America to run this project throughout 2018. Thanks to everyone who made Frankenreads such a success. Not that we’re finished yet! We’ve still got plenty of registered events upcoming. But we wanted to let you know a bit about the events that took place during Frankenweek, October 24-31, and especially on Halloween day, when #frankenreads was on everyone’s lips and at everyone’s fingertips. 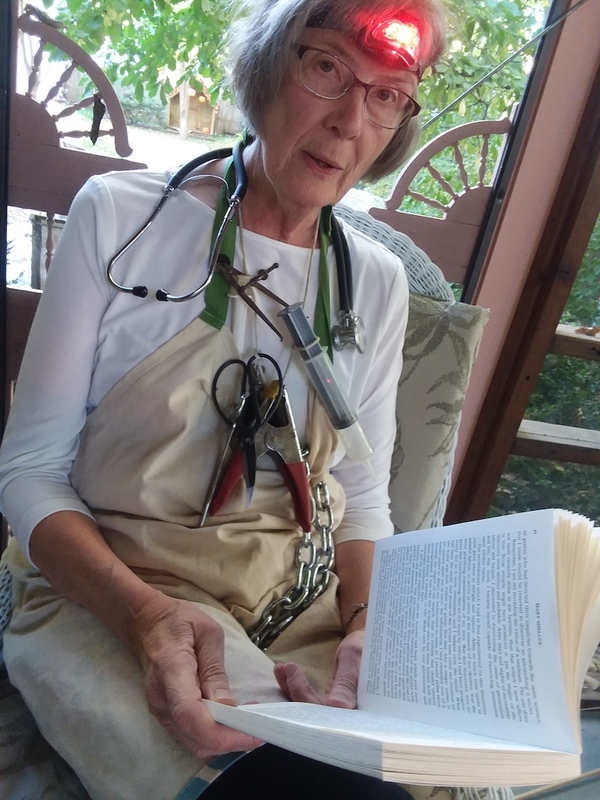 Thanks to Jane P. Marshall for sending us the above terrific photo (and others) from their Halloween readathon of Frankenstein in Manhattan, Kansas! Other all-day readathons on Halloween took place at Trinity College in Dublin; the Bodleian Library at Oxford University; Bishop Grosseteste University in Lincoln; Nord University in Norway; University of Sofia in Bulgaria; the Casa della Litteratura in Rome; Brescia University in Ottawa; and in many U.S. states from California to Virginia. Dozens of others held multi-day readathons, film screenings, performances, and lectures during Frankenween or over the course of the year: there have been a total of 603 events registered so far. 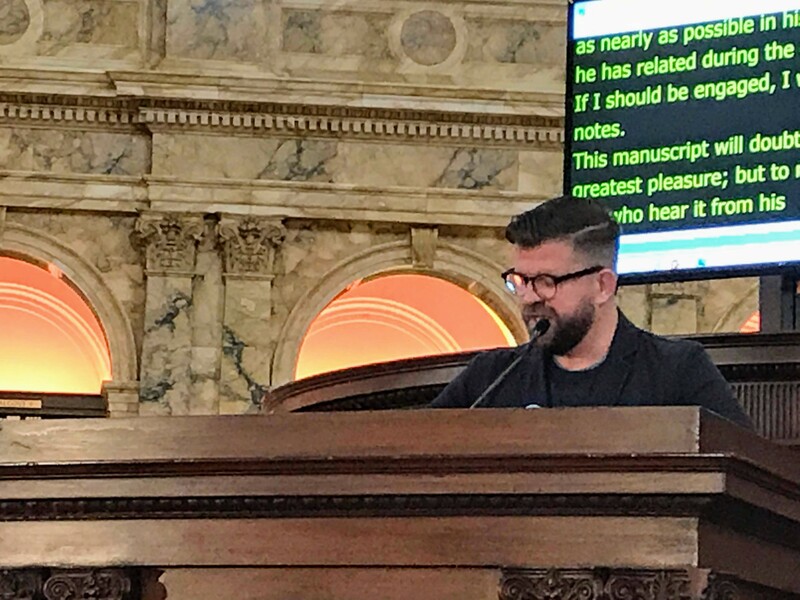 We had a wonderful time at the Frankenreads readathon in the main Reading Room in the Jefferson Building at the Library of Congress. We cannot thank the Library of Congress enough, especially the staff of the Center for the Book, for their invaluable assistance in putting on such a magnificent event. Tour groups and students and individuals all dropped by to listen as we worked our way through the novel (much faster than we had anticipated: it took about seven hours total, not including breaks, instead of ten). Watch the video on YouTube. And speaking of videos, thanks to all who posted their Frankenreads videos on YouTube! We’ve added them to our Frankenreads playlist. If you have one that isn’t shown there, you should be able to add it yourself, or just contact us. And if you have pictures you’d like to share, contact us with your Google-linked email address and we’ll give you access to our Google Photos Frankenreads album so you can add them there. We’ve also done a roundup of media mentions of Frankenreads, including pieces by linguist Ben Zimmer in the Wall Street Journal and book reviewer (and wonderful Frankenreader) Ron Charles in the Washington Post. Let us know if you know of other media mentions. It’s due to all of you, our participating partners, that this has been such a success, but special thanks are due as always to the National Endowment for the Humanities and the Library of Congress as well as our Project Partners and staff: see our About page for the list of the many people who made this global initiative possible. If you enjoyed this initiative, please consider donating to the Keats-Shelley Association of America so that we can plan similar events in the future. The year 2018 marks the 200th anniversary of the publication of Mary Shelley’s Frankenstein, a seminal literary work that, since its appearance, has influenced millions of people across the globe. To commemorate the bicentennial of the novel and also to harness its power to generate and inspire communities of readers, the Keats-Shelley Association of America in partnership with the National Endowment for the Humanities is launching “Frankenreads”: a “Bloomsday”-style collection of events celebrating Frankenstein, culminating in a series of full-length live readings of the novel on Halloween, October 31, 2018. We invite you to discover already planned events near you, or to join our growing list of partners by indicating your interest or proposing your own event. We welcome proposals from anyone, including K-12 teachers, archivists, museum curators, artists, and book club members. See our current list of partners.